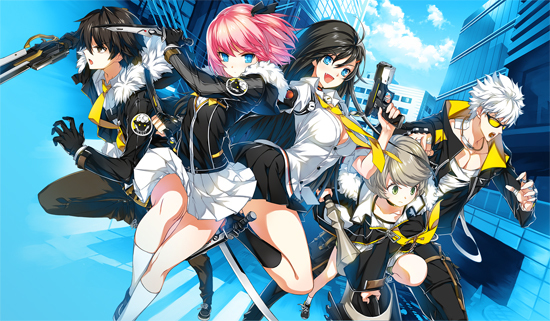 Episodic anime beat-‘em-up Closers has entered closed beta in North America and Europe. Fans eager to play the closed beta can guarantee a spot with the purchase of a Founder’s Pack, available now, and begin participating in a variety of special in-game events that the publisher will be hosting throughout the month. En Masse has no plans to wipe character data following the closed beta, so all progress made during beta testing won’t go anywhere when Closers launches. In addition to granting closed beta access to Closers, each level of Founder’s Pack contains En Masse Points (EMP) currency for the in-game store, in-game mystery boxes, and cosmetic rewards. There’s a Closers Founders Pack for players of all interest levels, whether it’s the $14.99 Trainee Bundle or the $149.99 premium Ace Closer Bundle, which comes packed with exclusive costumes, 180 days of elite subscription time, 10,000 EMP, and much more. Starting on November 7 running through Tuesday, December 5, En Masse is hosting an assortment of in-game events for all Closers closed beta test participants. Simply logging in each day rewards players with a variety of increasingly valuable items, culminating in a permanent Lucky Chick Pet Egg. Beginning Saturday, November 11, logging in during weekends provides players with useful consumable items at regular intervals for the first two hours of their playtime each day. Players who clear dungeons worth more than 10 Fatigue Points throughout the beta will be rewarded with CBT Gift Tokens for their efforts. These tokens can be spent on pieces of the full Gifted Cadet Uniform in-game. The final CBT in-game event remains active through Tuesday, December 19, and rewards players with valuable in-game bundles every 10 levels (starting at level 30 and ending at level 60). In Closers, players become an elite agent of UNION, an organization dedicated to dealing with the threat of interdimensional aliens spilling through a series of mysterious portals that have appeared throughout New Seoul. At launch, players can choose one of five playable members of the Black Lambs team: Seha, a reluctant combat genius; Sylvi, the dedicated leader; Yuri, the skilled martial artist who only recently discovered her powers; Misteltein, a prodigious young boy with amazing support skills; or J, the grizzled veteran with a troubled past. Each character’s unique personality and combat style allows players to chart their own path through a complex, branching narrative, upgrading their skills and weapons along the way, and unlocking amazing new powers in a quest to vanquish a gargantuan interdimensional threat.